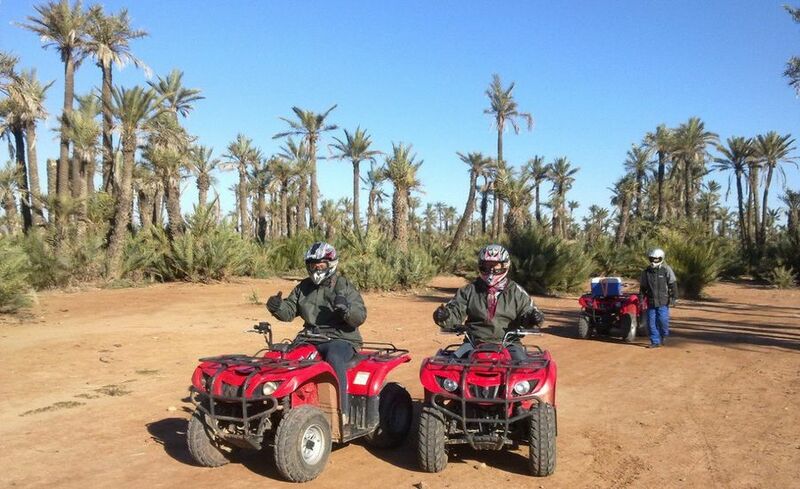 Private excursion in Quad, Buggy, VTT in the palm grove of Marrakech. 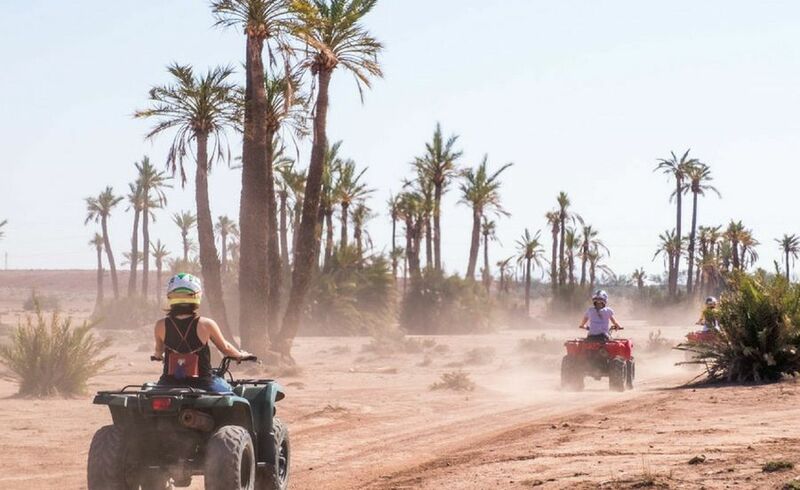 Feeling of strong sensation, desire for adventure and new discoveries, our quad escape will consist in crossing the palm grove, the dry rivers, the Regs (the stone desert) and the Berber villages .... A traditional Moroccan taste will be offered to you. 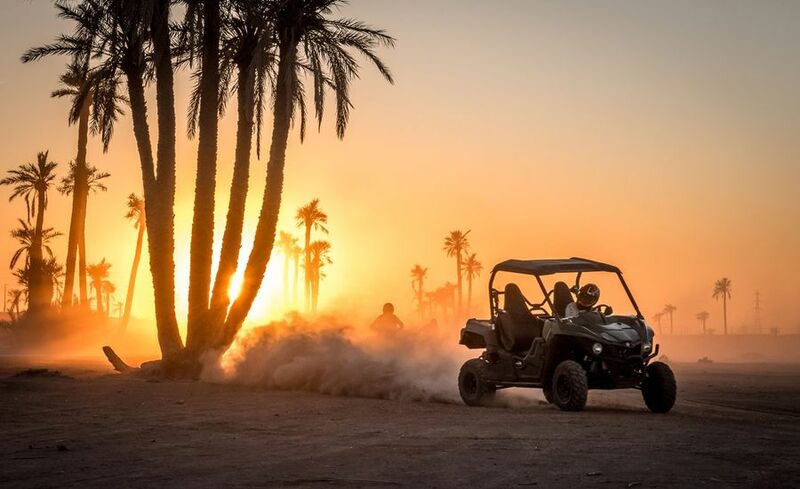 We will cross desert landscapes of exceptional beauty. 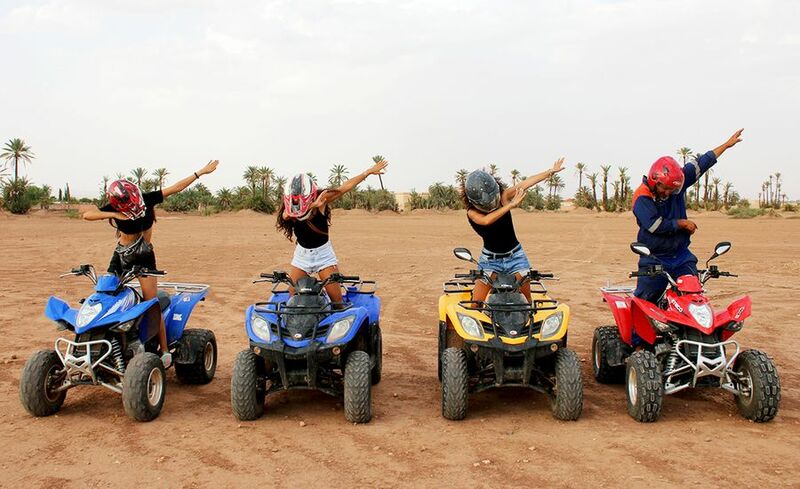 A very nice sporting walk, you will be accompanied by a professional guide who will take you to beautiful places of the ochre city. 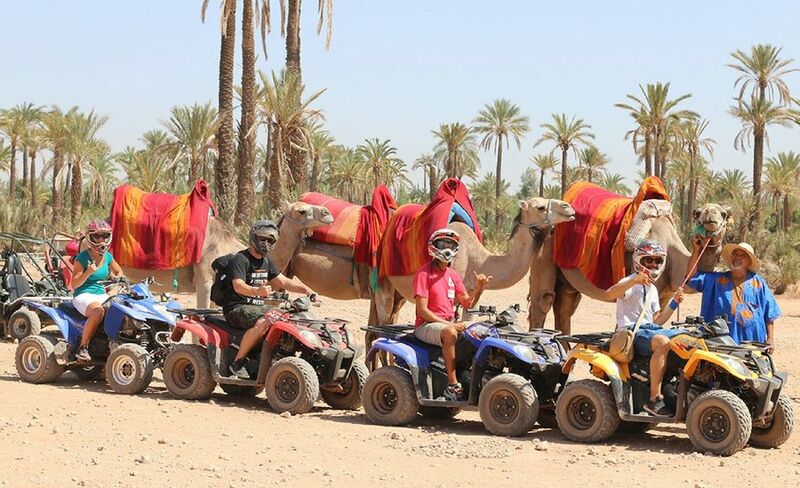 Transfer back and forth from your hotel / riad with a professional French speaking driver. 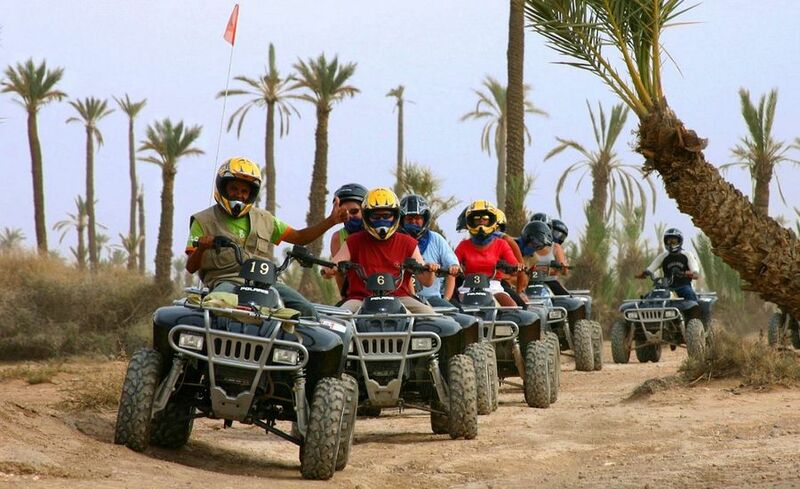 A professional guide will be at your disposal throughout your walk. Lunch, Drinks and personal expenses.